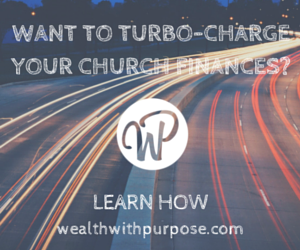 It is an unfortunate reality that the concept of a pastor’s financial package is one of the most misunderstood in ministry finance. Most churches believe that salary equates package—this is not true. A package generally refers to all costs that a church pays for its minister. The amount includes, but is not limited to, salary. It should also cover housing, health insurance, retirement benefits, travel and automobile expense reimbursements, and other expenses reimbursements. However, a pastor rarely gets to negotiate his salary package because to do so gives him the image of being money-driven. Thus in most churches, the issue of compensation is left un-discussed leaving most ministers underpaid. Our goal then is to debunk misconceptions, educate church leaders on fair practice and standards and pave a way for a discussion where parties can exchanges views before coming to an agreement beneficial for all. To begin with, it is essential for ministers to understand that when it comes to the issue of compensation, they must learn to be their own advocates. All pastors wish that their congregations will automatically provide them with fair and adequate compensation but this does not always happen. Often times, the board will need a little push, or at the very least, a presentation of the pastor’s situation in order to make a fair decision. Pastors would need to present a carefully considered remuneration package based on their goals, achievements, education, and responsibilities, plus a comparison to national averages. A word of caution to pastors: do not be combative, hostile, or demanding in putting forward your case. On the contrary,the negotiation process should be approached by both parties with an open mind and understanding heart. For its part, the church leadership is responsible for paying its ministers fair wage and retaining talented leadership. To deliberately pay a minister below what is just and required is not honoring to God as the Bible clearly states that laborers are worthy of their hire. This simply means that churches should give the maximum amount of support to their pastors without jeopardizing the overall financial stability of the church. However, this is easier said than done during difficult economic times, thus the need for negotiation arise. Each party should then present their proposal and counterproposal until such time that a mutually beneficial and agreeable settlement can be made. The Compensation Guide released by The Ministers and Missionaries Benefits Board states that churches and ministers need to work together on the salary negotiations, conducting them in a spirit of good will that avoids rancor and ensures a positive outcome. Bottom line is, pastors and church leaders are partners in ministry. Money and ministry are connected and a happy balance between the two can and should be found.